Repurposed materials are definitely changing the way we live in our homestead. Check out how you too can transform your homestead with repurposed materials or everyday household items given a fresh new makeover! Even before recycling, upcycling, and repurposing were even hot topics online, I have been big on repurposed materials already–or so I thought. While I use recyclable stuff regularly around my garden, it’s still surprising how more and more ideas are coming around, and how household items can have such different purposes around the home. It keeps getting more fun and interesting, and the money I save is just the icing on the cake. From an empty jar to a lamp, glass bottles to garden edging, and soda can tabs to curtains, the ideas are endless. Find out more ideas for repurposed materials here. Get some ingenious ideas first in this infographic for the amazing uses of everyday household items. These ideas have been inspired by personal creations. Don’t go keeping just about evert ordinary household item, thinking they’re going to come in handy one of these days if you don’t want to make a dumpster of your house or storage. If you’re keeping and saving household items, make sure they’re organized, and if possible cataloged, so you know where to find them when inspiration strikes. Here are the 63 things to never throw away, plus 20 more household items to save and keep. Sample these ideas for repurposed materials from everyday household items and other stuff around the homestead. 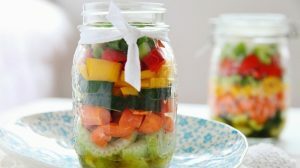 There are different uses for mason jar around the house with canning and food storage as the main. Outside the obvious food usage, Mason jars are also used for arts and craft and storing dry materials. But, did you imagine Mason jars as lamp or luminaries? Mason jars can gather dust in the house so you need these ideas to declutter. Why buy plastic seed starting kits when you have simple household stuff you can use to start seeds in. Newspapers, milk cartons, empty toilet paper rolls, eggshells, are only some of the many recyclable items your can reuse to start seeds for your garden. They’re way better than plastic seed-starting or biodegradable ones since you won’t spend a dime on it. Glass jars besides Mason jars can also collect inside the household with many food items sold in glass jars. These ideas on what to do with glass jars can help you deal with these recyclable household items. If you have more than teacup sets at home or got some with some chips, don’t throw the pair right out. Make this DIY teacup planter for your indoor garden. I don’t even know where to start with how our plastic soda bottle problems are becoming worse and worse. If you can, limit purchase on these items and find ways to reuse those you have at home now. You can do these simple DIY soda bottle planters, which you can use to plant herbs and veggies in, especially if you’ve got limited gardening space. If you have broken chairs, tables, or any wood items, don’t waste them in the dump. You’ll be surprised with what these salvaged wood can turn into. Have you got a few old window shutters bound to rot in the shed? If you’ve heard about rustic house decor or design, then you know better than to let those window shutters go to waste. You can transform old shutters into new household items with a rustic charm. I could use these ideas with old clothes piling up in our storage. These ways to reuse old clothing are exactly what I need and want. Besides plastic soda bottles, soda and beer cans can also pile up in our trash bin and these ideas to reuse these items are perfect. They also make fun projects for my kids to enjoy and spend their time productively. There are a lot of ideas you can do with pallets, including furniture–yes, functional furniture oozing with rustic charm. From a sofa set, chair, swing bench, couch, table, including a bed, these ideas are just amazing.! Plastics are durable and last long, which is the downside when disposing of these materials. Luckily, they can be reused or repurposed, just like these chicken nesting boxes made from cat litter bins. If you look at newspapers and all you see is trash, these repurposed newspaper ideas will make you appreciate them. Next time, you’ll always keep a stash of these handy materials for different purposes around the home. Who would have thought even tea bags can have different uses and function around the home? Well these ideas for repurposed tea bags will really surprise you. Empty bottles with different colors and sizes are beautiful in themselves anyway, so it’s no surprise they make great decor around the house. How they are repurposed as decor is what makes the difference with different ingenious style, design, and function. It would seem like tin cans always ends up in the garden as planters, but there are way more ideas for tin cans, including decor and crafts. Look at these nifty these ideas for repurposed tin cans! Now you know better than to throw everything out in the trash with these repurposed materials. With these ideas, not only do you save money, you become even more creative and you declutter your storage and home pretty productively! Got other ideas for repurposed materials around your homestead? Share your ideas in the comments! Editor’s Note: This post was originally published on June 2015 and has been updated for quality and relevancy.